The feeling of supporting a good cause is amazing. But nothing can beat the feeling of winning while doing it! Just ask our recent the Deaf Lottery Australia winners. Draw 170 saw a stunned woman over-joyed that her charitable purchase would also be a life-changer for herself. Being a regular $50 ticket book supporter, the happy winner won not only the $650,000 first prize in the lottery but an additional $35,000 gold bullion. With 1 of 4 prize options to chose from, she chose the brand new Toyota Prado VX and gold bullion. Speaking with the charity, she explained why she has supported the Deaf Lottery Australia for several years. Planning to take her family on holiday with some of her winnings, the prize will also help to take some stress away from her family. Whilst this lucky woman scored the first prize, she wasn’t the only winner! Another 179 participants walked away with minor prizes in draw 170, including five Oz Lotteries customers. One oz Lotteries customer managed to scoop third prize – $3,000 spending money! First prize in The Deaf Lottery Australia draw 171 went to Julie, a NSW resident. She won an amazing $675,000 prize, including a $25,000 bonus prize, and chose the Mortgage Buster Lifestyle option,. 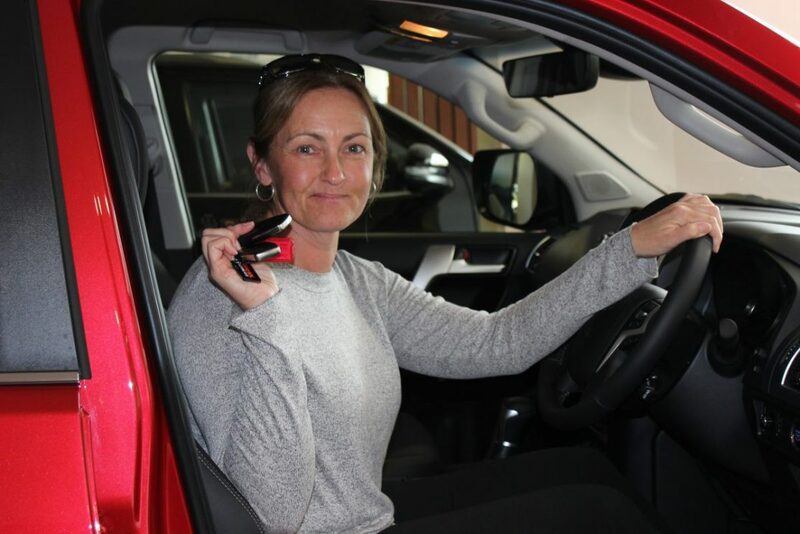 Julie is now the owner of a shiny new RAV4 and abundant savings for whatever the future brings. Did you know there are over 100 prizes up for grabs in every draw? It’s what makes The Deaf Lottery Australia so unique. With so many chances to win, why not purchase a ticket today and support a great cause.